Hi! I am a third grade teacher in Rantoul, IL. In third grade we teach cursive, different ways to complete math problems, as well as how to annotate. 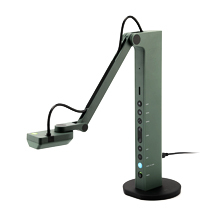 Having this document camera would give me the ability to show students how to complete word problems, model annotating, and how to form letters when writing. These are just a few of the amazing uses that this document camera would enable me to do for my students. Thank you for your consideration and I am excited to be able to use this.